There are some minor damages to your car, and because they’re so minor, is it even worth taking into an auto body shop? So, like most people, you drive around with a little dent on the bumper and some accompanying scratches. And then one day, you finally decide to fix those scratches and dents! But where should you get these minor car damages fixed? You Google “Auto body repair shops near me,” but most of these results are going to cost an arm and a leg! Time to read some reviews on Yelp and see what others have to say about these top-rated auto body shops. While on Yelp, there’s something on that page that catches your eye. What’s this? A mobile dent repair? It’s an auto body shop that comes to you! This must be too good to be true, but all the 5-star reviews are testifying how affordable, convenient, and amazing this company is. Upon further research of the mobile auto body repair, you find that their technicians come to you and fix your minor damages within a couple of hours. You decide to compare a few auto body shops with the mobile dent repair. All options are reputable and have a lot of positive reviews on their Yelp pages. They all do high-quality repair works but the biggest difference seems to be the price and the time it takes for the repair. 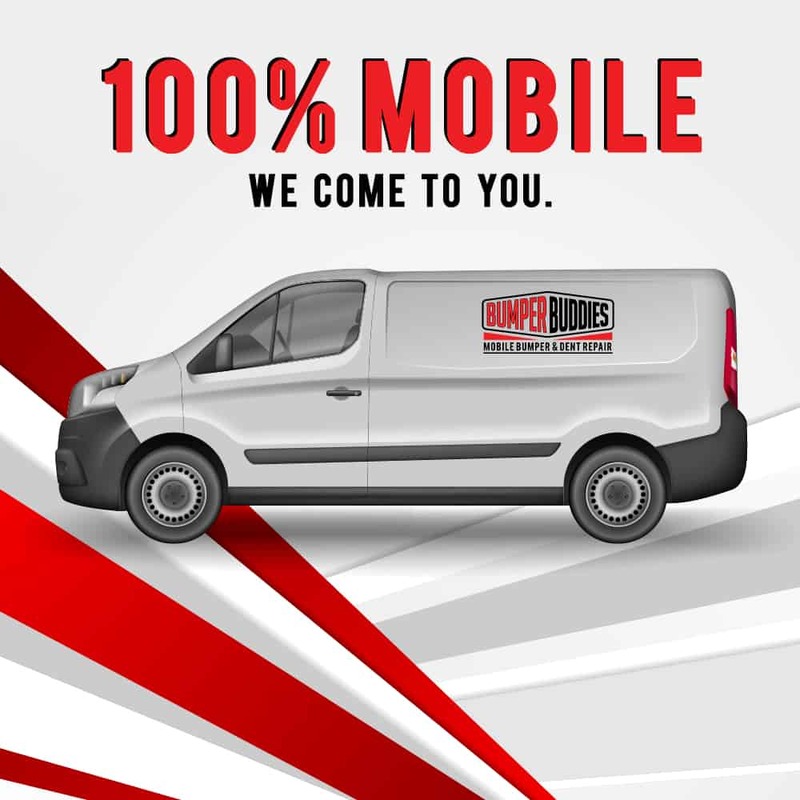 The mobile repair shop gets the repair done in a few hours–meaning you won’t need to get a car rental! What a relief! There seems to be one clear winner for you. With the minor scratches and the little dent on your bumper, it’s not worth taking in your car to an auto body shop (and leaving it there for at least 3 days). It already feels so good to repair your damages while saving time and money. 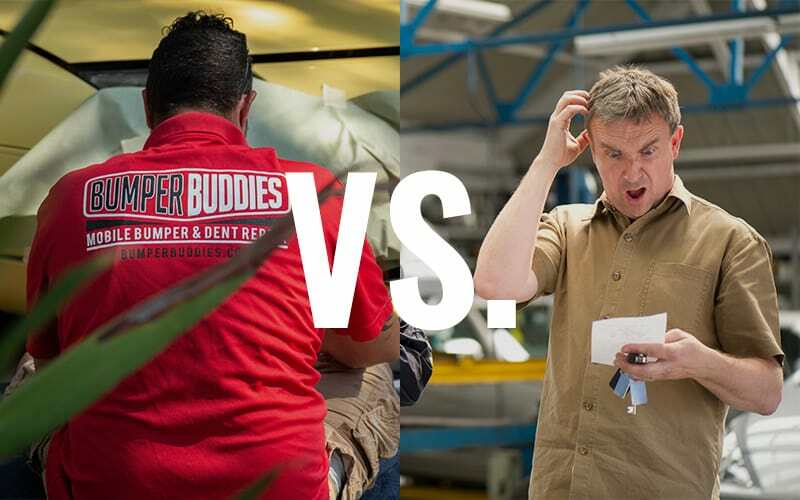 You give Bumper Buddies a call at (888) 711-5074. You book your appointment for the same week. You meet your technician and he gives you a great price for your dent and scratch repairs. A few hours pass by and he’s done! Your car looks like new again and it was the best car decision you ever made.